The imaginative literature of African and Afro-American authors writing in Western languages has long been seen as standing outside the Western literary canon. In fact, however, black literature not only has a complex formal relation to that canon, but tends to revise and reflect Western rhetorical strategies even more than it echoes black vernacular literary forms. 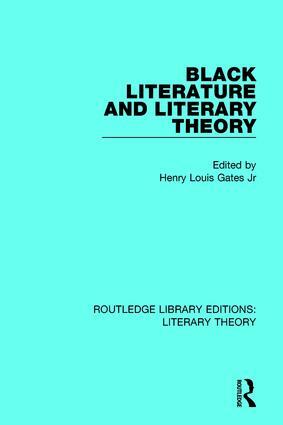 This book, first published in 1984, is divided into two sections, thus clarifying the nature of black literary theory on the one hand, and the features of black literary practice on the other. Rather than merely applying contemporary Western theory to black literature, these critics instead challenge and redefine the theory in order to make fresh, stimulating comments not only on black criticism and literature but also on the general state of criticism today.